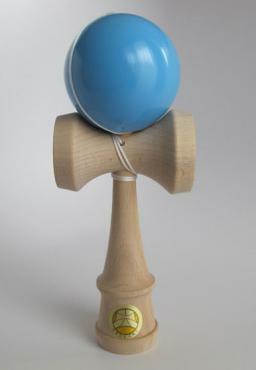 Material: Shaft - beech; ball - cherry. 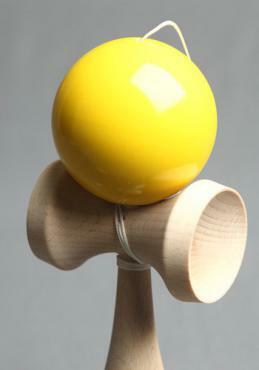 Official Kendama Oozora - Now in Yellow! 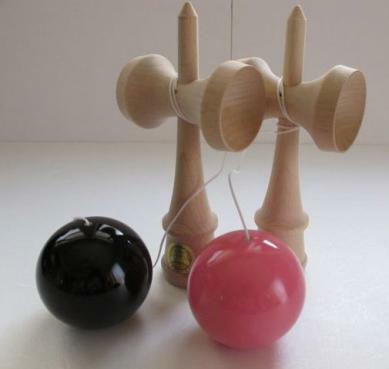 These beautiful kendama are hand-crafted by Yamagata Kobo in Japan and officially sanctioned for competitive use by the Japanese Kendama Association. 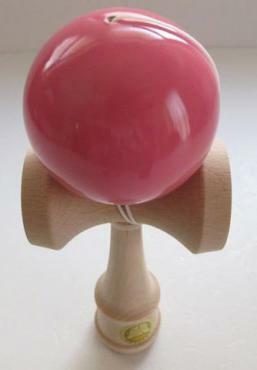 They use non-toxic materials. 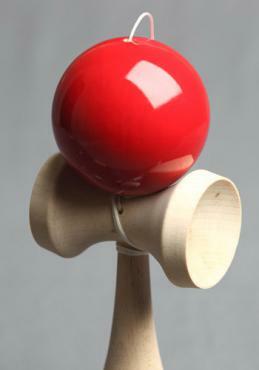 The Oozora kendama has a very light play and weighs in close to 140 grams. 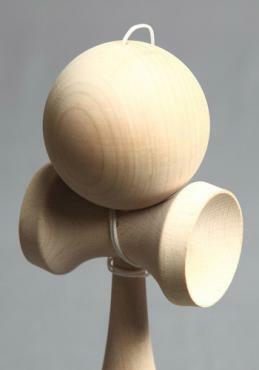 The knot rests below the cup body rather than recessed behind it. The tip of the spike is refined very sharp out of the package. 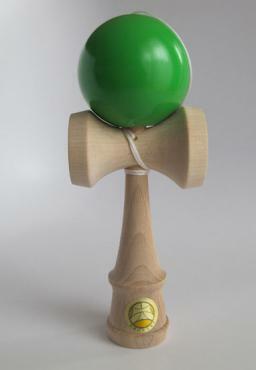 This kendama comes in a plastic bag and includes a set of instructions in Japanese and an extra string.